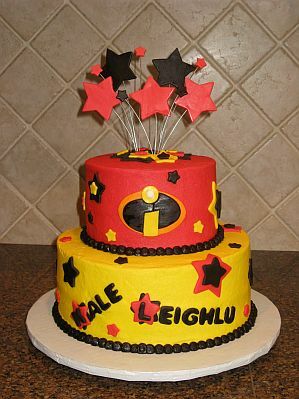 For a celebration to be a success, a very important detail is the cake or birthday cake, for that reason is that now we present some of the most beautiful cakes of The Incredibles, for a party planning. 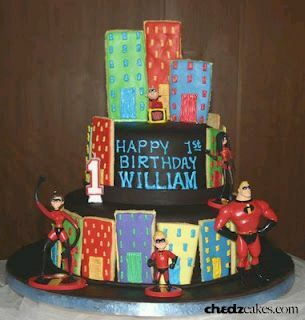 Here's an interesting model, with two cakes one floor action with The Incredibles. In this case you have a birthday cake two floor, in chocolate and with a decor that recreates the buildings in the city, you can also appreciate the Incredibles on both floors of the pie. Meanwhile this is a birthday cake for a floor decorated with the family of The Incredibles. If you prefer a cake decorated in pink, also looks good, it is a white cake with embedded stars and the incredibles at the top. 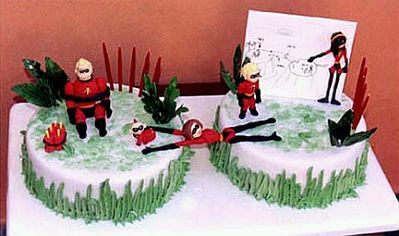 This birthday cake of The Incredibles is also a floor and is decorated at the bottom with the "I" symbol characteristic of these superheroes. 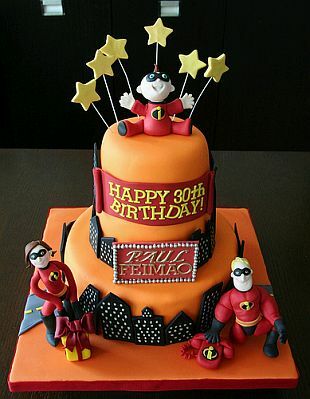 Beauty decker cake, at the bottom is the parent of The Incredibles, while at the top, the baby, on both floors, the buildings of the city is appreciated. 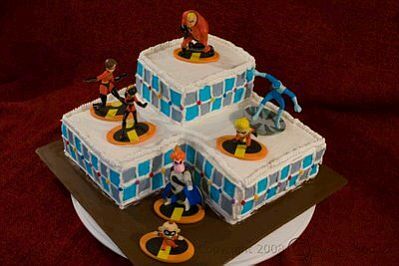 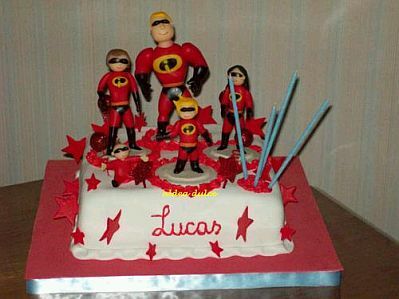 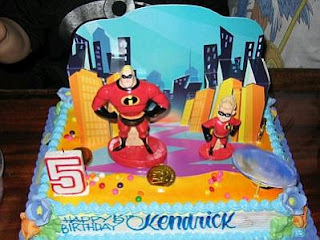 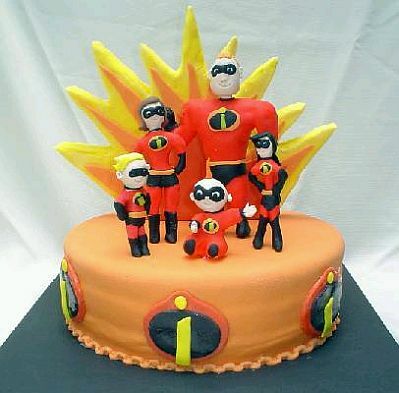 This birthday cake, also two-floor, though it has none of the family members of the Incredibles logo and colors characteristic of these superheroes, make evident its subject. 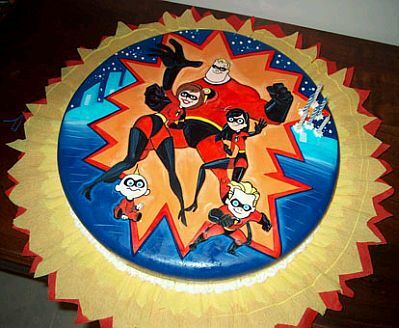 Place cardboard templates, full color, on a birthday cake, is also very good, as you can see in this picture. Finally, a cute birthday cake model, two floor, with a special provision on each one of them has the members of The Incredibles.